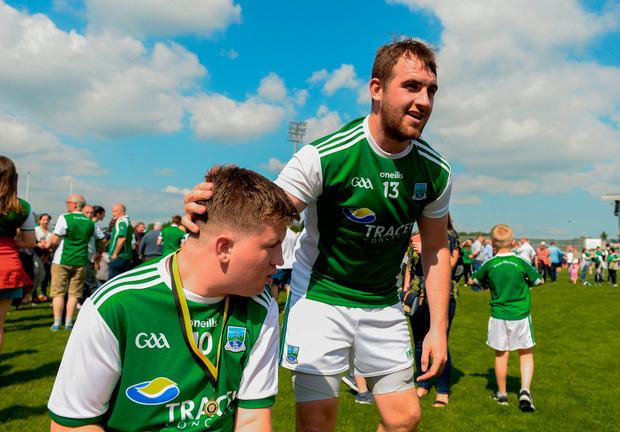 Sean Quigley is rarely one to pull punches and after sending shockwaves through the championship with their surprise defeat of Monaghan, he makes no bones about Fermanagh's Ulster title ambitions. It scarcely seemed credible last summer when Pete McGrath was ousted from the Fermanagh job that the Erne men would make it all the way to the Ulster decider just under 12 months later. What Rory Gallagher's men have achieved - promotion to Division 2 and a first Ulster final appearance in a decade - is remarkable and their success is underpinned by a miserly defence with just 17 points conceded in two Ulster outings. The influence of Tyrone's three-time All-Ireland winner Ryan 'Ricey' McMenamin is also clear to see in their defensive organisation - often with 15 men behind the ball - and Quigley believes the pair have injected a significant change in attitude where it was badly needed. "They have brought a winning mentality, they have brought a belief. Rory and Ricey have been around winning teams for a long time. It is nothing new, the players have been there. This is an experienced Fermanagh team and we have a few young lads who have come in," Quigley said. "For the first time in a long time we have a very good bench to finish a game. Monaghan would have been confident that they had a strong bench but we were on par, if not a wee touch in front." Quigley was on point with three first-half frees helping his side into a two-point half-time lead but when the Farney men gained traction and led by two with time almost up, the game was slipping away until Eoin Donnelly's injury-time goal. The Roslea forward never wavered in his belief, however. "We were down in Longford for the last League game and we were four down. We never thought that game was gone, it came down to the last kick of the game and we won it," Quigley said. "We didn't panic, we gave the ball away a few times in the second half but that happens, it just shows the character of this team. "To come up against a team like Monaghan, who in my opinion are top four in Ireland, and overthrow them the way we did, albeit by a point but a one-point win is as good as a 100-point win. It is hard to put into words. "We came here with no doubt in our minds that we were going to overthrow Monaghan. I would like to have thought we would have done it a wee bit easier than that, but we will take it." Their defensive system has drawn the ire of many pundits but results are all that matters for Quigley and the hard yards put in over the winter would be worth every drop of sweat if they can lift the Anglo-Celt Cup when they face either Donegal or Down on June 24. "We are happy with the way we are playing. Joe Brolly and Pat Spillane will probably analyse it to death but to be honest I couldn't give a fiddler's what they think about it," he said. "We will make no qualms about it, if we go and get overturned in Clones there won't be a word about Eoin Donnelly putting that ball in the back of the net. We are in it to win it and we are going to give it a damn good try. "We are in the final, we're there on merit, we deserve to be there and we will give it a damn good rattle. If I am talking you in three weeks' time and I am going into Roslea with an Ulster medal, it will all be worth it."